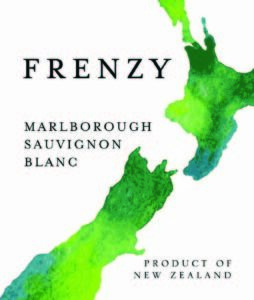 Made in Blenheim, the wine capital of New Zealand, FRENZY Sauvignon Blanc is produced by Paua Bay Wines and is a carefully made blend of the best wines from selected vineyards. Capturing the spirit of New Zealand, FRENZY is crisp, refreshing, vibrant, aromatic and energetic with hints of peach, grapefruit, lime, melon and fresh cut grass. New Zealand produces what many wine critics consider the world’s best Sauvignon Blanc, so drink up the FRENZY. 2018 was an excellent growing year. A hotter than usual summer allowed us to harvest the grapes in pristine condition, resulting in fruity, concentrated wines. The harvest commenced late March and continued into April. The grapes were gently pressed before fermentation in stainless steel tanks. Fermentation was conducted at low temperatures (12-14C) to retain the wines strong and appealing aromatics.